The story of Leeuwarden? That is something told by all the people who have left their defining mark on the city. These stories are collected by DNALWD2018. Anyone linked to Leeuwarden in any way can share some of his or her DNA. Not real DNA, of course. But something that relates to our city or yourself. A personal story, object, photograph or miniature artwork. Everything is possible, as long as it fits in a tube. All of this creative DNA ultimately forms a single piece of art. Tens of thousands of tubes that not only illustrate our differences, but also what unites us: Leeuwarden. 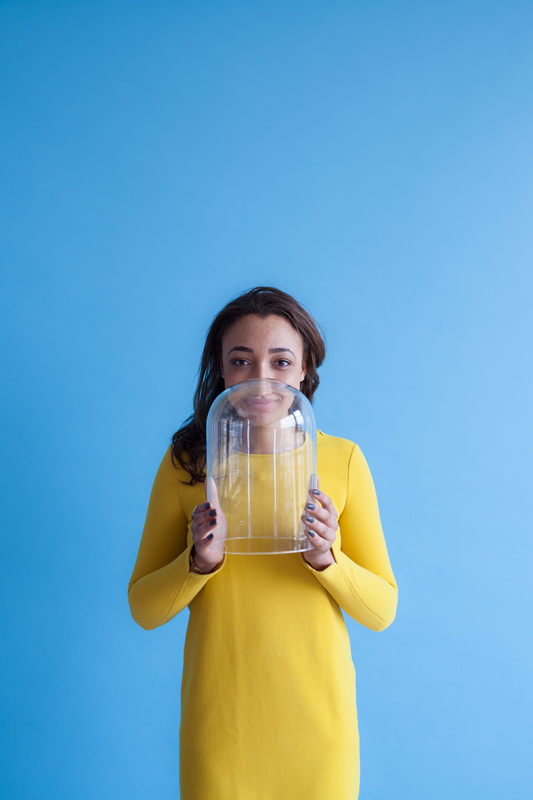 Your DNA is stored digitally. So that you, or someone else, will always be able to find it. Today, tomorrow, or even light-years from now. This way, we create a story about us, all together as one. This amazing DNA artwork can be admired in the Leeuwarden city hall. 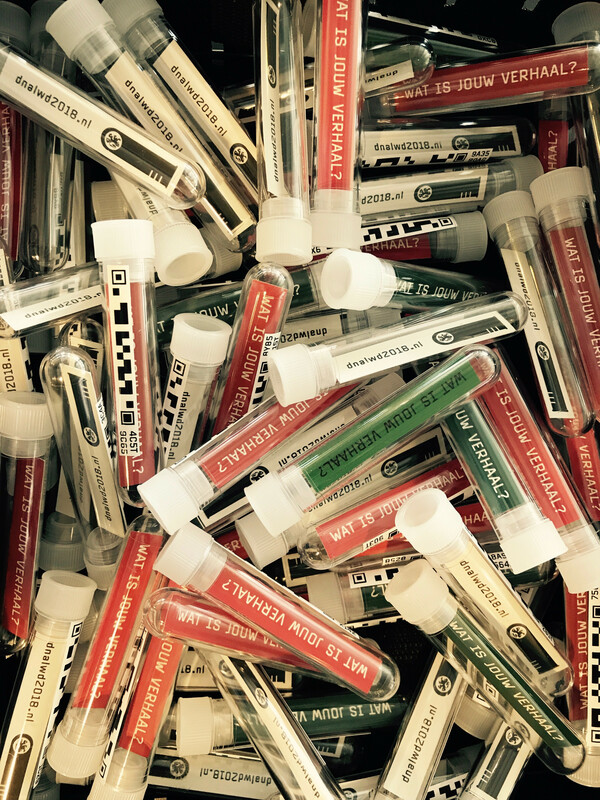 Thousands of tubes colourise the story of all of us. Each DNA tube carries a story. These stories can be found on www.dnalwd2018.nl. Here you can also find your own DNA tube and see where it is placed in the art piece. You can join by picking up a DNA tube at one of the DNA information points. 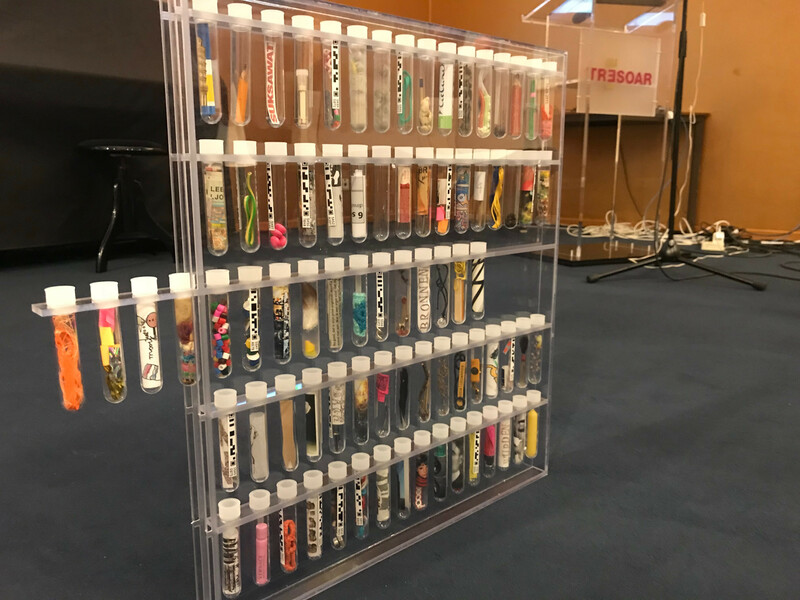 You fill the tube with items that are important to you. A story, a poem, a child's drawing, a picture of your birthplace. Everything is possible, as long as it fits in a tube. 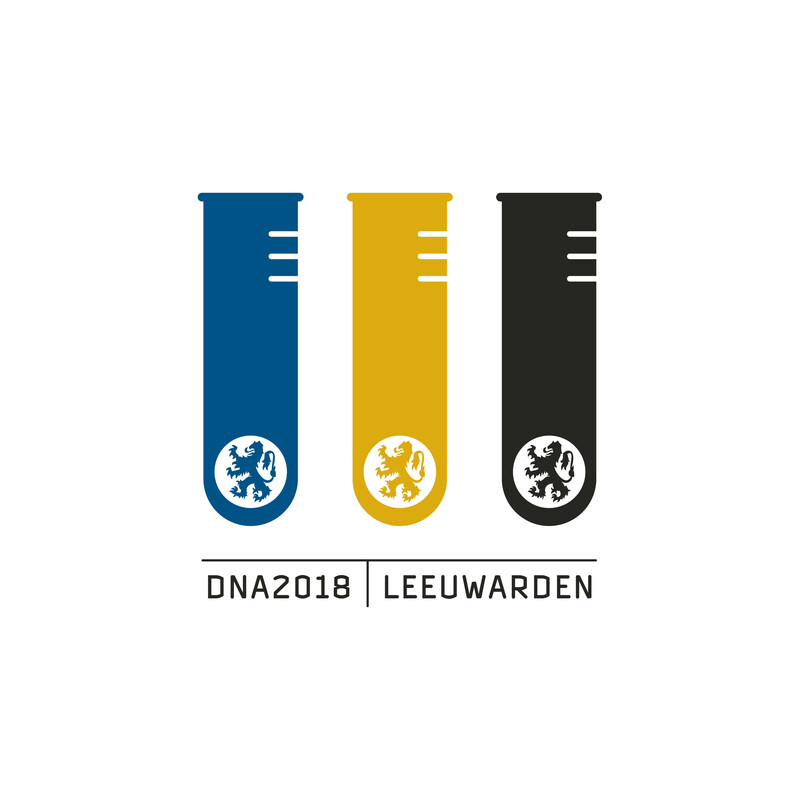 Go to www.dnalwd2018.nl and follow the steps to register your tube. You can then submit your DNA tube at the DNA information point. After 2018, all stories are preserved and stored by the Historisch Centrum Leeuwarden (Historical Centre). This then becomes a time capsule for all the generations to come. This enables all those future generations a glimpse of the stories people had and all the happenings when Leeuwarden was the European Capital of Culture. The DNA information points can be found in the city hall, HCL (Historisch Centrum Leeuwarden) and MCL (Medical Centre Leeuwarden). The work of art can be seen throughout 2018 in the city hall in Leeuwarden. Stichting Zeezicht, Historisch Centrum Leeuwarden, Stichting Kunstkade, Municipality of Leeuwarden, Province Friesland, ROC de Friese Poort, ROC Friesland College, NHL University of Applied Sciences, Stenden University of Applied Sciences, Omrop Fryslân, Van Hall-Larenstein, Nordwin College, LF2018, Lân fan Taal, Buro 360, Het Nieuwe Stadsweeshuis, PyraSied, Mannen van Staal, Wellzo and the Medical Centre Leeuwarden.